At the present moment, your excellency is seated in the position of the king by the will and Grace of the Lord and as a true Vaisnava I must accept your excellency as the representative of the Supreme Lord Sri Krishna, as He has expressed Himself in the pages of Bhagavad-gita. As such I beg to lay before your most exalted honour, the following few lines for favorable consideration and do the needful in pure consciousness. Your Excellency is the Representative of Sri Krishna by authority and I hope Sri Krishna will direct you from within in the matter of my transcendental service to Him. I beg to submit herewith that by the Grace of Sri Krishna through His mercy personified--my spiritual master, I have realised it most thoroughly that going "Back to Godhead" is the highest privilege of mankind and that is the supreme perfection of human life. Unfortunately, the present day human civilization is very much attracted with the beauty of Apara Prakrti the illusory material Nature and as such they are overpowered by a demoniac form of propensity in the atheistic set up of civilization manifested in the matter of sense gratification. This tendency is dangerously harmful to the real progress of life. The aim of life should be to make a sincere effort to go "Back to Godhead" but contrary to this, the tendency is to go back to hell or in the cycle of evolutionary animal life as it is described in the 16th chapter of Bhagavad-gita. Please therefore save them from the great falldown. Believe me or not, I have got the clue of going "Back to Godhead" just after leaving my present material body and in order to take along with me all my contemporary men and women of the world, I have started my paper "Back to Godhead" as one of the means to the way. Please do not think of me as an wonderful or a mad man when I say that I shall go "Back to Godhead" after leaving my present material body! It is quite possible for everyone and all of us. 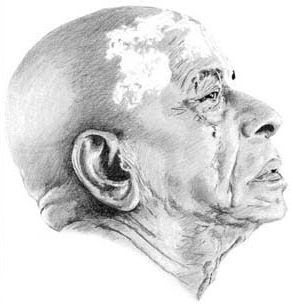 In the Bhagavad-gita it is said very clearly that whosoever may adopt the specific principle of accepting Sri Krishna the Personality of Godhead, he will be able to achieve the highest transcendental goal of life,--never mind what he is either a born untouchable, a fallen woman, a laborer or a man dealing in rupees annas pies. His being so, what is there difficulty for a pious "Brahmin" and devoted king for going "Back to Godhead"? Everyone should therefore adopt this principle of going "Back to Godhead" in order to get released from the world of miseries, with temporary existence. This fact is corroborated by Sri Caitanya Mahaprabhu as the practical demonstrator of Bhagavad-gita and as the most magnanimous incarnation of Sri Krishna--the Personality of Sri Krishna Caitanya has made the path of going "Back to Godhead" so easy for every one that even a boy of the world can swim across the ocean of religiosity, although it is injected with so many dangerous animals ready to devour up a fallen person in that great massive water. I have simply adopted the easy method of Sri Caitanya Mahaprabhu just suitable to the modern people in general. As such I am feeling as sure of going "Back to Godhead" as I feel without any doubt after taking my dinner that I have eaten to my satisfaction. This feeling is a necessary concomitant factor of the great science of devotional service in the approved line of Sri Caitanya Mahaprabhu. I am therefore very eager to broadcast the secret of my success to all men and women of the world as a natural consequence and I am seeking your excellency's help and co-operation in this great attempt of transcendental service. I am enclosing herewith 12 (twelve) copies of "Back to Godhead" (I to XII) for your excellency's reference. If possible kindly go through them all and I am sure that your honour will understand me right about my assertion. If it is not so possible, your excellency can kindly give a glance over the head lines only, and I am sure that will also give your excellency an idea of my definite assertion. To make a world wide propaganda for this most essential service to humanity, it is necessary that your excellency will stretch the helping hand necessary in this matter, as your exalted honour is personally fit also to do this job. Although the method is very simple for universal adoption, it is not possible for me to express in this letter all the words that I wish to tell your honour. As such, I am seeking an interview with your honour herewith. When your excellency will see personally the papers and programme of work about my bonafides, I am sure your excellency will be interested in co-operating with me. There is immense work to be done so far India's spiritual asset is concerned and I think the Govt. may take up the matter scientifically for the good of all men. India's specific culture demands that there should be a ministry of spiritual affairs to save the great culture of "Bharatavarsa". I am crying alone in the wilderness at the present moment. So please help me in this noble cause and oblige.